Winter might be the perfect time for Netflix, hot chocolate and hibernation, but don’t plan on holing up indoors for the entire season just yet. Running outside when there’s snow on the ground and ice on the pavement may sound less than appealing. 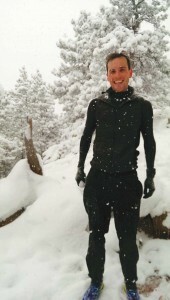 However, countless Boulder County runners love the magic found in cruising tranquil, snow-covered roads and trails. TOP: Winter doesn’t scare former Minnesotan Annie Swanberg. 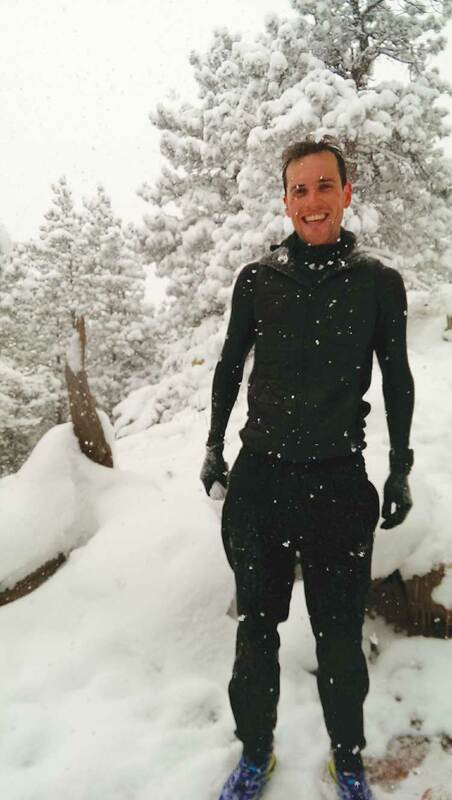 The CU grad student likes to burn off stress with a long run on the Bear Canyon Trail. ABOVE: Ironman athlete Bryan Journey, of Boulder, returning from a run on Mount Sanitas. He’s signed up for January’s Frozen Front Range Marathon, whose route goes up and down six peaks, with an elevation gain of 9,500 feet and a loss of 9,300 feet. Beth Risdon, 47, who lives in Longmont, has been enthusiastically running since 2008 and writes a blog, “Shut Up and Run,” which presents an often-humorous look into the world of running (including how to avoid “digestive distress” on longer runs). To her, “there’s nothing like running in the snow. It’s so totally peaceful and gorgeous.” Even as she recalls an exhausting 15-mile training run where her eyelashes froze shut, she urges new runners to get outside to enjoy the fresh, crisp air. Even after a snowfall, many local routes are safe to run on. Nolen has lived throughout Boulder County and appreciates how well the county and cities maintain their trails and bike paths. 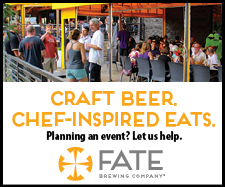 He suggests checking out Cottonwood Trail or South Boulder Creek Trail the day following a snowfall. Stay away from Marshall Mesa if staying clean is important, though; those trails are usually muddy. Risdon enjoys Picture Rock and Hall Ranch in Lyons, and Heil Ranch off Lefthand Canyon, saying she “could run these three trails several times a week and never get sick of them.” Boulder runner Amy Gosch, 31, loves the Dowdy Draw and South Mesa trail systems for easy running. If she’s seeking a more difficult run she’ll start from NCAR or Chautauqua. 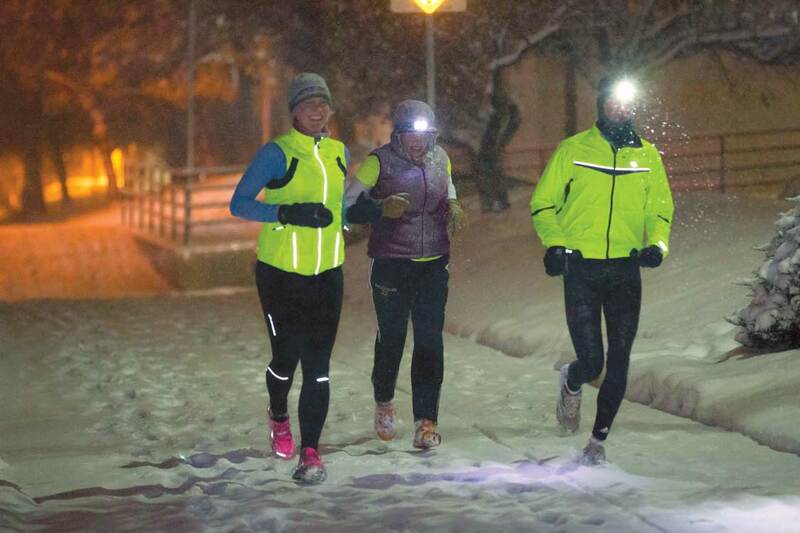 Headlamps are a must for winter runs early or late in the day. Familiarity with the terrain can be a confidence booster when you first begin navigating snow and ice. Superior resident and relatively new runner Samantha Vish, 26, runs loops around her apartment complex in the winter, preferring to be close to home. But even more experienced runners aren’t immune to the occasional stumble. Hebbe says she’s slipped on ice and bruised a rib before, but she emphasizes that it’s important to “forgive yourself.” Run at a slower pace and be mindful of the terrain. Moisture-wicking layers are important for winter running, but don’t bundle up too much. Because running generates so much body heat, Risdon suggests dressing as if the outside temperature were 10 to 20 degrees warmer. Nolen, Risdon and Hebbe all swear by running mittens to keep their cold hands toasty. Traction devices that fit over your shoes can help you avoid slipping. Yaktrax are good for road running, and many trail runners use MICROspikes in winter. With limited daylight hours in the winter, light is another important consideration, and a bright headlamp is vital for trail running. “Headlamps are a must on trails, even with a full moon,” says Gosch, who purchased a 130-lumen headlamp for $40 at Neptune Mountaineering. Hebbe even suggests running with a headlamp and a handheld flashlight to improve depth perception. Do be wary of manufacturers’ claims for a headlamp’s brightness and battery life. A fantastic way to become comfortable with winter running is to find a supportive running group. 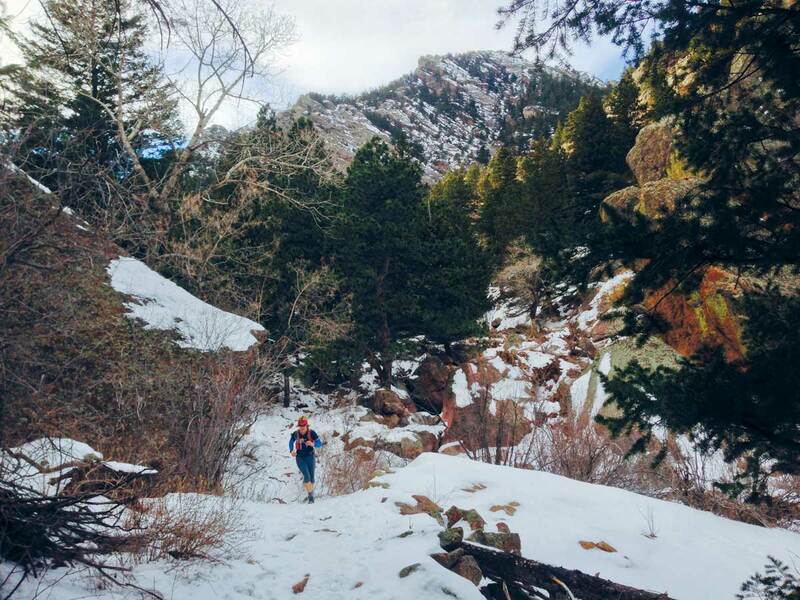 Local running stores like Boulder Running Company, Flatirons Running, Newton Running and Runners Roost organize fun runs throughout the week, as do groups like Boulder Rogue Runners, Boulder Trail Runners and Pearl Street Runners. Meetup.com is an excellent resource for finding new running friends, and there are groups for all levels. If competition motivates you, there are several winter races happening in and around Boulder County throughout the winter, and many more within an hour’s drive (see Races and Walks in Boulder Magazine’s Local Events listings.) From 5k’s to marathons, there’s a distance for every level of athlete. What’s the most common advice from seasoned runners? Just have fun with it! Vish recounts one unforgettable run where she stepped down on a patch of frozen ice, only to abruptly learn that it was actually a deep, cold puddle. She shakes her head and laughs at herself, knowing she’ll be running outside this winter, too. 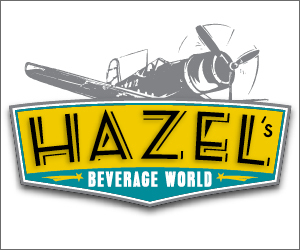 Megan Hettwer is an adventure-seeking freelance writer with a severe case of wanderlust. 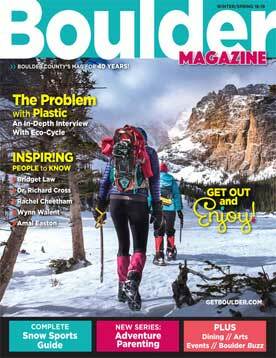 When she isn’t globetrotting, Boulder is her home base.